Garden hose nozzles come in many different shapes and sizes, all with different attributes. 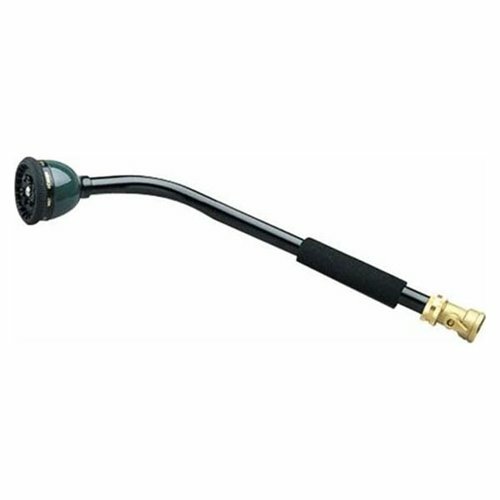 The hose nozzle is a must have whether your using it to water your garden or containers, wash your car, or washing down you deck, patio, or even your house. But which nozzle works best for these, and other related tasks? 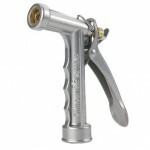 The Straight or AKA Fireman’s nozzle is built specifically to deliver a straight powerful stream of water. 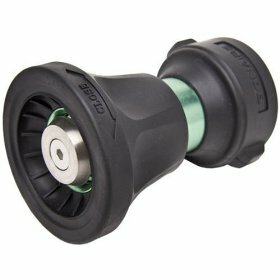 This nozzle has a simple barrel shape that turns to adjust the stream and pressure. This nozzle is perfectly suited for washing your car, patio, deck, even your house. The powerful blast will remove the dirt and grime that can build up on these surfaces. The hose is not suited for watering your plants or related activities, as the blast can injure if not end the life of your plants. Wand nozzles are built to deliver a light, gentle mist or cascade of water. These nozzles are much longer and held like a “wand” hence the name. The length and gentle delivery is perfect for water hard to reach places such as hanging pots. The wand is also perfect for watering your gardens and containers, as it delivers a gentle soaking cascade of water similar to a sprinkler. Obviously this gentle type nozzle wouldn’t be appropriate for washing your car and the like. The trigger nozzle is much like the straight nozzle only it’s much easier to control. This nozzle is shaped like a gun, hence the name “trigger”. 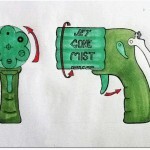 However the trigger in this case is on the back of the nozzle, and is made so that the user can easily control the “blast”. The lighter the user squeezes the trigger the gentler the discharge, the harder it’s squeezed the stronger the blast. 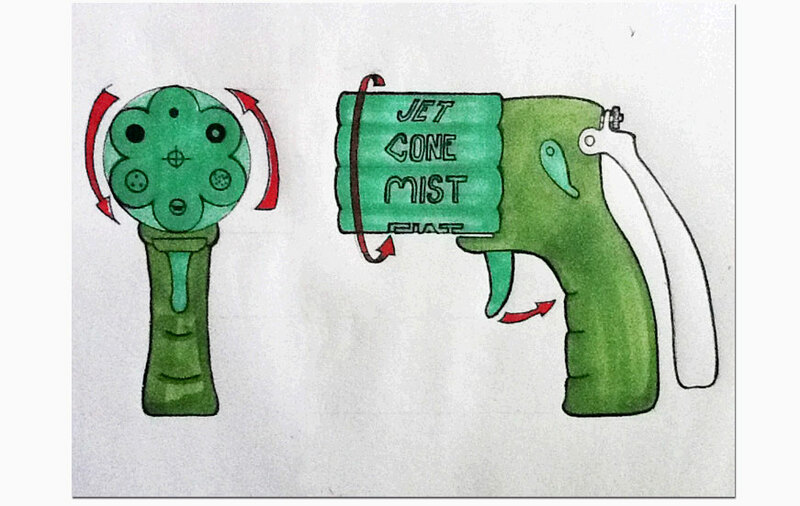 So in a way the trigger nozzle mimics both the wand and straight nozzle so it can be suited for all mentioned tasks. Keep in mind however, in my experience if the trigger is not fully squeezed the cascade is more like a messy dribble it really is meant to provide the blast over the cascade. Hopefully we’ve made your nozzle decision a little less painful! Don’t forget to subscribe to the blog for a chance to win a free 50’ blue TUFF GUARD brand Perfect Garden hose!! This entry was posted in Car Buff, Gardening Tips, Homeowner, Landscaping, Uncategorized and tagged best no kink garden hose, conserving water, Garden, Garden hose, garden tools, gardening, herbs, Industrial Goods and Services, lightweight garden hose, Nozzle, tuff gaurd garden hose, TUFF GUARD The Perfect Garden Hose, tuffguardhose, Valves Hoses and Fittings, vegitables, Water, water canservation, water hose, watering, watering tools. Bookmark the permalink.